Nothing if not unique, this duo from Providence, Rhode Island, specialize in a kind of experimental folk arcane that defies description. Perhaps the group’s closest association—though it’s a tenuous one—would be with some of the fringe RIO artists of the 70s such as Stormy Six, Univers Zero and Henry Cow, though without the often tiresome political agenda and iconoclastic posturing. Guitarist Jeffrey Alexander and cellist Miriam Goldberg fashion bizarre expressionist soundscapes that eschew conventional melody or structure but still haunt the listener with a sense of harmonic deja-vu, as if they were reconstructing a soundtrack to some half-remembered dream. The group forgoes the need for anything so bourgeois as song titles, so the two long tracks on this self-titled disc form a kind of continuum of sound that’s alternately folky, psychedelic, gothic, electronic and genuinely experimental. 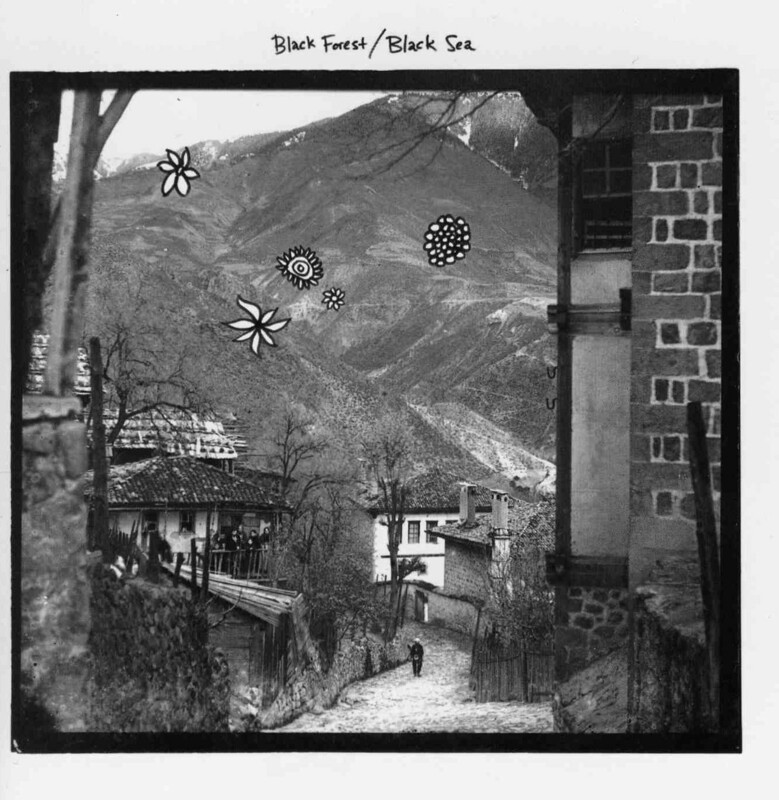 Primarily improvisational, Black Forest/Black Sea (the group’s fourth full-length album) also includes contributions from Stefano Pilia (guitar, sounds) and Margot Goldberg (phonorgan). Imagine the music on Black Forest/Black Sea as the perfect accompaniment for a midnight viewing of the paintings of Edvard Munch and you’ll have an adequate impression of the weird spaces Alexander and Goldberg will transport you to.